Elections to the two Autonomous District Councils in Meghalaya would not be postponed following the Union Cabinet’s approval to amend the Sixth Schedule and Article 280 of the Constitution. On Wednesday, the Union Cabinet approved amendments to Article 280 and Sixth Schedule of the Constitution and these amendments will significantly improve the financial resources and administrative powers of the ten autonomous district councils of Assam, Meghalaya, Mizoram and Tripura. Seats would be also increased in these councils. In Meghalaya, there are three councils created under the Sixth Schedule of the Constitution – Khasi Hills Autonomous District Council (KHADC), Jaiñtia Hills Autonomous District Council (JHADC) and Garo Hills Autonomous District Council (GHADC). Each council has 30 members – 29 elected members and one nominated member. The seats in Khasi Hills and Garo Hills would increase to 40 from 30 seats and four will be nominated members, including two women. However, for Jaiñtia Hills Autonomous Council, the seats would increase from 30 to 34, of which four are nominated members, including two women. 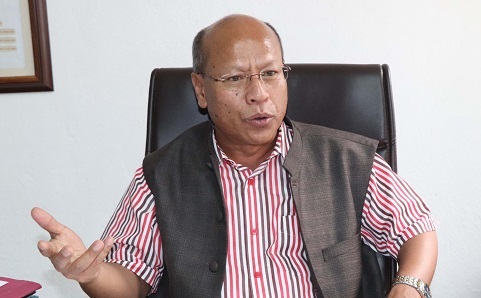 Speaking to reporters on Thursday evening, Meghalaya deputy chief minister, Prestone Tynsong said elections to elect new members to the two councils – KHADC and JHADC – would go as scheduled on February 27. He said that the state government would issue a notification for holding the polls to the two councils on February 2. Counting of votes will be held on March 2. According to Tynsong, the process to implement the amendments would take time since an amendment bill would be tabled in Parliament and if passed by both House of Parliament, the bill has to get the assent of the President. “It is not sure as of now whether the Centre will introduce an amendment bill in Parliament or not in the upcoming session. As the process is long, it is not necessary as of now to postpone the elections to the two councils. Moreover all political parties and candidates have already prepared for the elections,” Tynsong said. He also said that there was no instruction from the Centre in connection with the amendments already approved by the Union Cabinet.